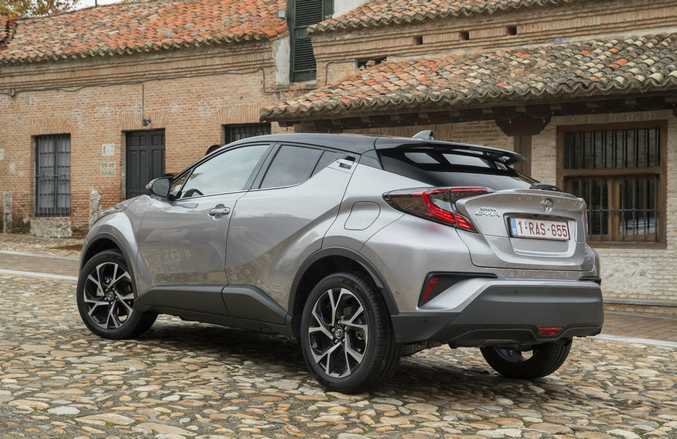 INTEREST PIQUED: Is there scope for Toyota to offer us a greater range of its forthcoming C-HR small SUVs? A hybird version and more powerful turbo variant would be welcome. 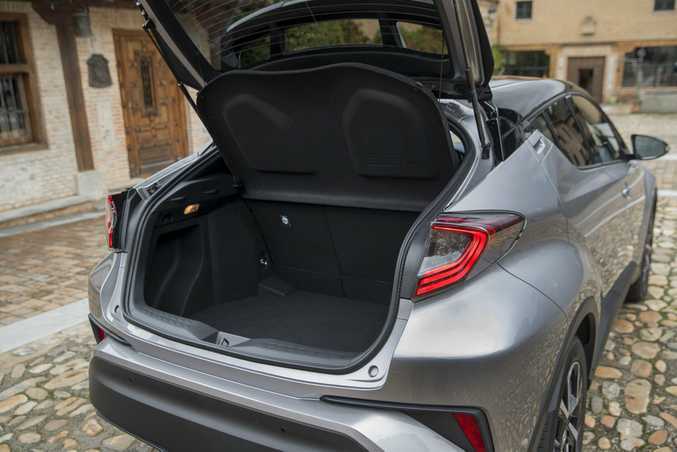 OUR test drive and review last week of Toyota's new C-HR compact SUV attracted an astonishing amount of interest in print and online. Seems this futuristic-styled crossover, due in Australia late next February, has struck a chord with our market, with countless readers asking to know more. Unsurprising really, as sales in the small SUV segment have gone gang-busters in recent years, and the C-HR means Australia's leading SUV seller will soon have a player in this red hot market. 2017 Toyota C-HR compact SUV. At launch Toyota's C-HR - expected to retail from around $25,000 - will be available as a front- or all-wheel drive and come with manual or CVT auto gearbox, but has just the one engine option: an 85kW/185Nm 1.2-litre four-cylinder turbo. Toyota is no stranger to offering plenty of variants in its models, so we asked questions about the chance of different engines for the C-HR in the future, namely a hybrid for you eco lovers, and something a bit bigger and more powerful for performance fans. 2017 Toyota C-HR on location in Spain. 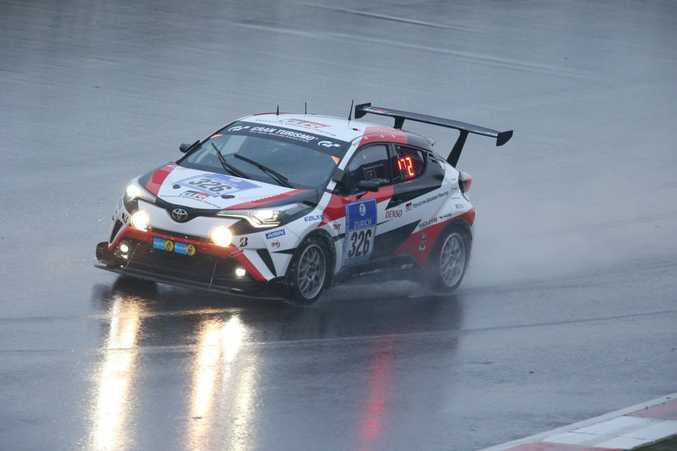 "We'll only take the 1.2-litre turbo engine for the foreseeable future," said Toyota Australia PR manager Mike Breen. "Whilst we never say never, there are no current plans to introduce alternative powerplants." Interestingly, European sales expectations suggest 70% of C-HRs sold there will be hybrids: a 1.8-litre VVT-i with electric motor returning an appealing 3.6 l/100km. With the Corolla Hatch Hybrid, Camry Hybrid and the Prius already for sale in Australia, it wouldn't be a stretch to imagine a C-HR hybrid making sense here. 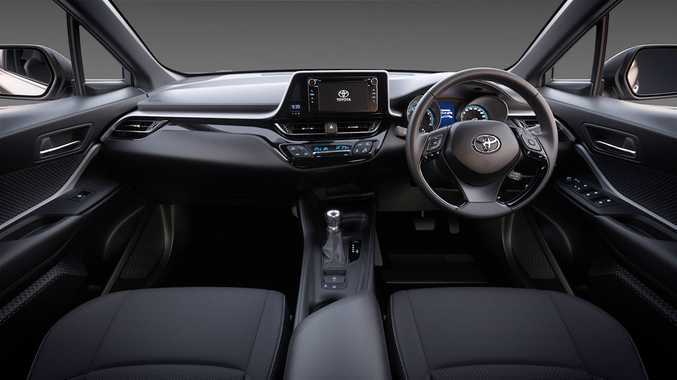 2017 Toyota C-HR cabin from a pre-production Australian model. And a performance model? 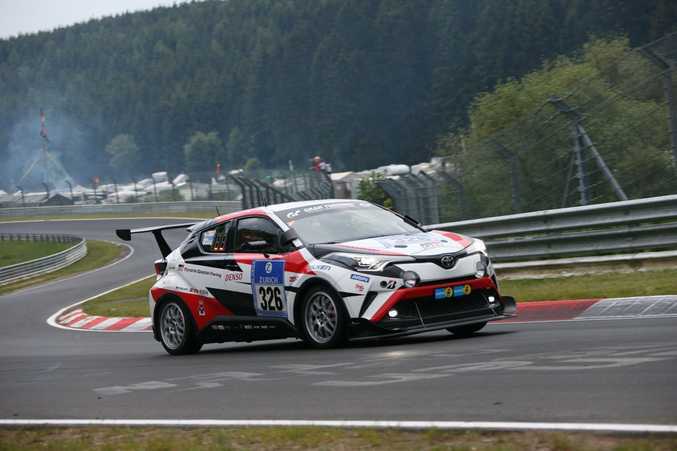 Interestingly - and somewhat bizzarely - a C-HR competed at the Nurburgring 24 Hours earlier this year, finishing a respectable third in class and 84th overall in this motor sport torture test. 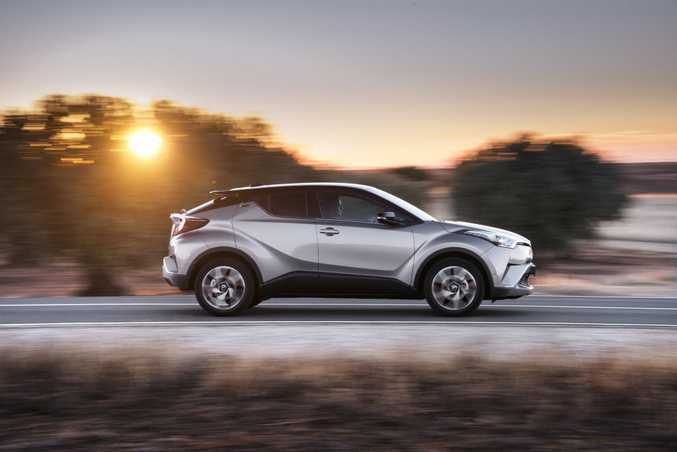 C-HR chief engineer, Hiroyuki Koba, a man with a love for performance and motor sport, suggested the baby SUV's chassis could handle more power. "A 2.0-litre turbo I don't think would fit in the engine compartment, but a 1.5- or 1.6-litre turbo would." We Aussies love a hotted up variant more than most markets, so we can but hope a "warm" if not quite "hot" C-HR crossover arrives in the future. WHAT NO BATTERIES? Hybrid version of the Toyota C-HR is expected to make up 70% of European sales, yet Australia won't be receiving the model...yet. With its edgy and sporty body style - so very removed from most Toyota designs - a hero C-HR could give Toyota's image an even greater boost., not least to Toyota 86 fans ready to start families.